When it comes to fashion, we all like to believe that we’re the Blair Waldorf or the Carrie Bradshaw of the fashion world. Unfortunately for us, we still have a little way to go in order to be THAT fabulous, but we’re working our way up there. However, the life of a fashionista isn’t easy. It’s tiring, you know. There’s money to be spent, there’s lighting to be perfected, there are closets to be tidied, and there are trends to follow. Thankfully, there are some accessories that never go out of fashion. You know what that means? It’s time to go shoppinggggggg! Ahhhhh, a scarf. Considering it’s just a simple piece of fabric, a scarf is one of the most important accessories in a fashionista’s closet. Scarves are some of the most versatile accessories in the world of fashion and have various uses that will make you look even more fabulous than you already do. Feeling cold? Cover your colorful trench coat with a statement scarf to protect you from the cool breeze and wow the passers-by with your awesome patterns. Feeling like your outfit needs a certain je ne sais quoi? Add a light scarf to complete the outfit. The options are endless. Watches are still completely underrated in the world of fashion. Sure, they tell the time which is kinda handy – but get the right watch, and you can turn your outfit up from ‘meh’ to ‘wow-wa-wee-wa!’ Nowadays, some of the biggest brands in the fashion business have brought out their own line of watches and timepieces to spice up your outfit. So whether you can afford Gucci or Gap, there will always be a watch to suit your occasion. There are even some watches that double up as bracelets, as well! Bonus. Okay, so it might not be sunny all the time – but we’re still not allowed to leave our house without a pair of sunglasses on our face. Whether you actually wear them, or whether you use them as an added accessory for your hair or your clothing, sunglasses can make you look chic and glamorous in seconds. However, sunglasses get a little tricky. Each season, sunglasses trends chop and change, meaning you’ll have to check out what your favorite celebs are wearing at the time. This is great because we love a bit of celeb stalking just as much as we love fashion itself (it’s not creepy, we promise). I mean, where else are you going to keep your scarf, your sunglasses, and your emergency makeup? 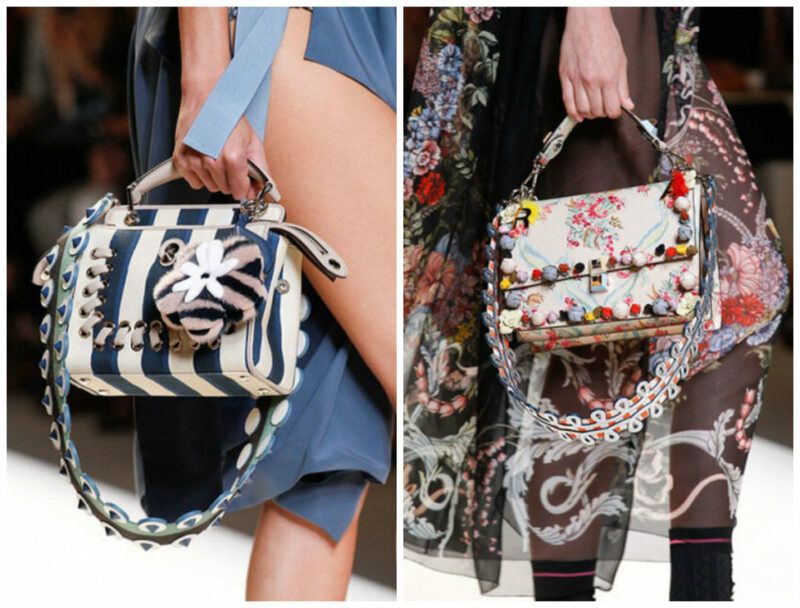 Handbags are the ultimate mix of fashion and practicality. Not only do they hold all of your belongings and make them easy to transport, but they can also give your outfit the pop it really needs. Big, statement handbags are all the rage at the moment, with some of the biggest names in the business swearing by their own brands and styles. Which one (or ten) will you choose? If you ever consider leaving your house without adding jewelry to your outfit – you better waltz back into your room and put some on ASAP, because no outfit is complete without statement jewelry. At the moment, the magazine pages are full of celebs wearing chunky necklaces, large hoop earrings, and quirky rings. So why don’t you give it a go? Jewelry is the perfect way to add a splash of color, a bit of class, and a bit of your own personality to your outfit. Maintaining the life of a fashionista isn’t easy, but it’s made a lot easier if you fill your wardrobe with these essential accessories!